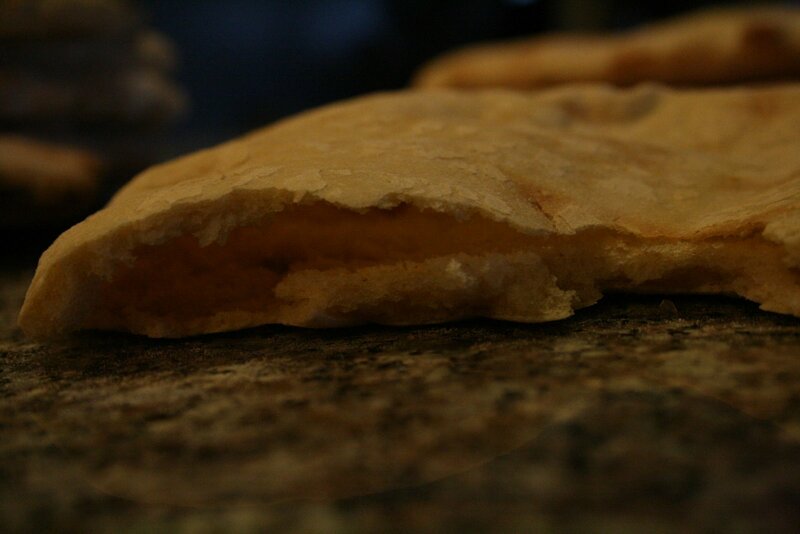 I just made this pita bread, it was easy and very yummy! Combine yeast, 1/2 cup water, honey, cover and let set for 10 minutes in a warm place until mixture is frothy. 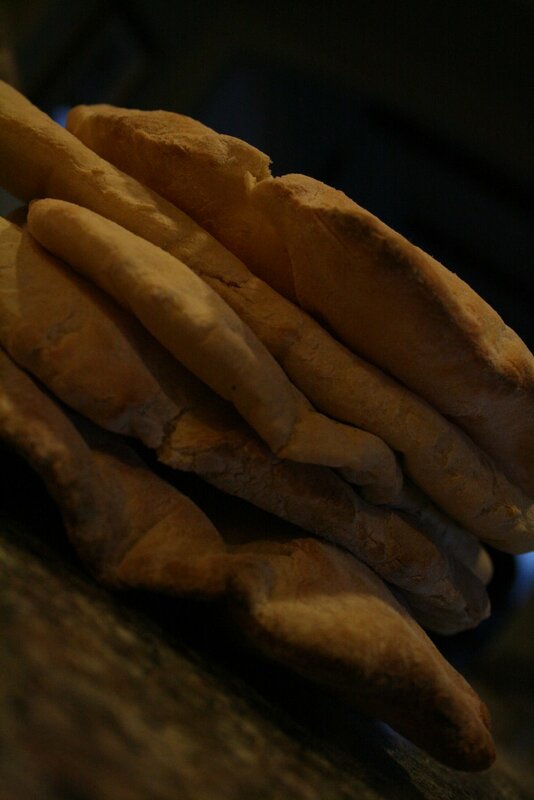 Place all ingredients and the yeast mixture into a bow of a mixer and mix for 10 minutes for a soft dough. Divide dough into 12 pieces and make into a ball. Cover and let rest until doubled, about a hour. Place right on to the oven racks (if the bread falls though the rack then place on a cooling rack in the oven), back for about 2 minutes, or until the bubbles are lightly browned. Pull the bread out of the oven and poke with a knife and deflate the bubbles. mmMMMmmm! That looks SO good… put some hummus with that, and you’re all set! My stomach just growled (for real!) looking at these pictures. Yum. I. NEED. ONE. Wow. That looks super yummy. I will make some :).